February is Black History Month or National African American History Month. This annual celebration recognizes the struggles, contributions and achievements of African Americans throughout our nation’s history. 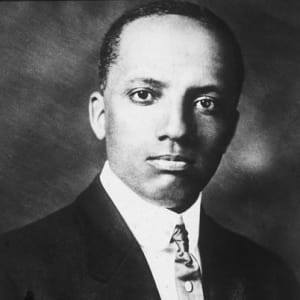 In February 1926, Carter G. Woodson created a Black History Week in Washington, D.C., to make sure that school children would be exposed to black history. The event was celebrated during the second week of February to coincide with the birthdays of Abraham Lincoln and Frederick Douglass. In the following decades, mayors of cities began issuing yearly proclamations recognizing the week-long celebration, which evolved to Black History Month in the 1960s. In 1976, President Gerald Ford proclaimed Black History Month a national observance. Click here to submit your favorite way to honor Black History Month. We may feature your submission in the next issue of The Voice. Below is a list of events and exhibitions in honor of Black History Month. The award-winning movie 'Black Panther' is airing for free in select AMC Theatres to celebrate Black History Month. See a list of participating locations here. The Seattle Education Association and many Seattle Public Schools educators will promote racial equity and positive outcomes for all students by participating in a national Black Lives Matter at School Week. For more information, click here. Race and media scholar Ralina L. Joseph reads from "Postracial Resistance: Black Women, Media and the Uses of Strategic Ambiguity," an examination of the media landscape and its impact on African-American women. Date: February 12, 7 p.m. to 8 p.m. The African American Writers' Alliance is hosting an event to celebrate Black History Month. Learn more about black history through poets and spoken word performers. Date: February 10, 2 p.m. to 4:30 p.m. Throughout the month of February, Seattle Pacific University will be hosting a Black History Month speaker series. Connect with local black business owners and hear their stories about their journey of success. For more information, click here.